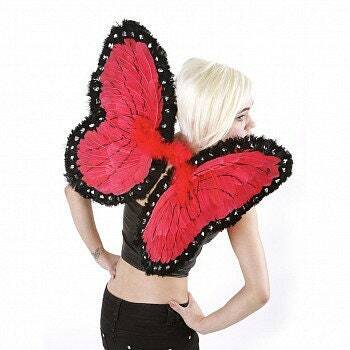 These Red and Black Costume Butterfly Wings measure approximately 19x23 inches are are made with Goose and Turkey Feathers. 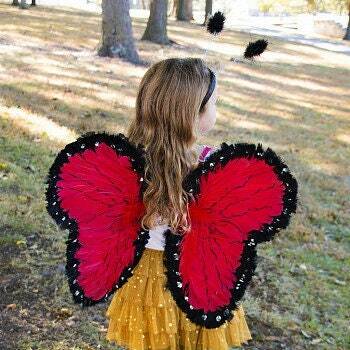 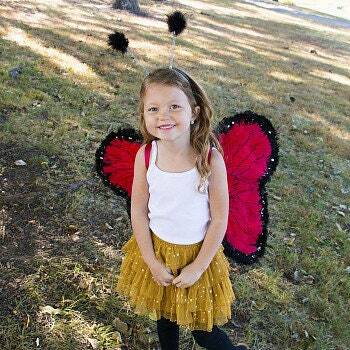 Complete your butterfly costume with this fabulous feather wing. 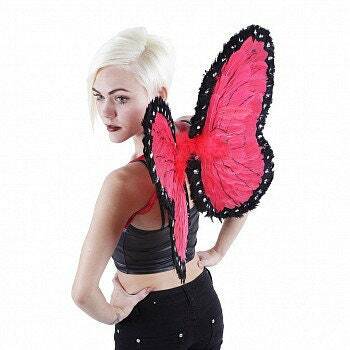 This listing is for the wings only - Antennas not included.